This engaging and wide-ranging two-volume study urges a balance between theoretical and practical sociology. This engaging two-volume study pursues a balance between theoretical and practical sociology. 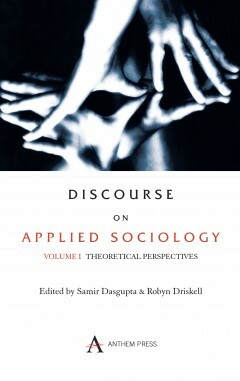 The authors are aware of the impasse often deliberately created by the self-conscious language of sociological theory. The primary concern of the applied sociologist is to adapt theoretical knowledge to actual human situations, using it to formulate social policy, investigate domestic and international social problems and create a pragmatic ‘sociology of possibility’. Volume I, subtitled ‘Theoretical Perspectives’, focuses on the problems and prospects of applied sociology in an era of globalization. The essays emphasize the close association of applied sociology with altruism, identity formation, race and ethnicity. They evaluate the empirical ‘truths’ of sociological theories and examine their relevance for contemporary research, poverty, demographic issues and social policies. The authors agree that the ultimate test of theory is the extent to which it can produce knowledge that ‘works’. Samir Dasgupta, D.Litt. is Professor and Chairperson, Department of Sociology at the University of Kalyani, West Bengal, India. Robyn Bateman Driskell, Ph.D. is Associate Professor of Sociology at Baylor University, Texas.